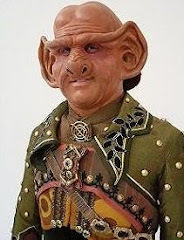 If you don't know Francis Scofield, he is the number one collector of screen used Ferengi props & costumes in the US. 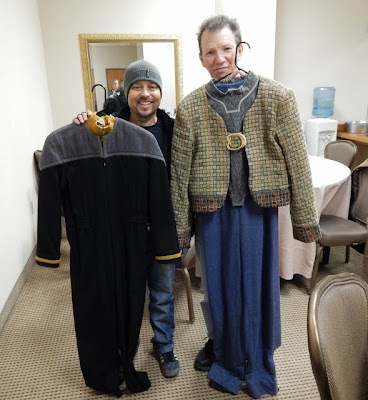 His collection is really astounding and he and I have been friends for a few years now through the Star Trek Prop, Costume & Auction Forum. 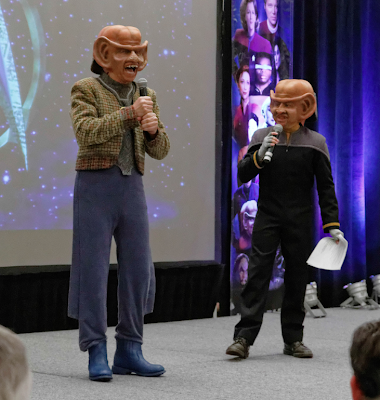 Like many members, we met at the Las Vegas Star Trek Convention and we stay in touch and I help him out whenever something Ferengi comes to market. 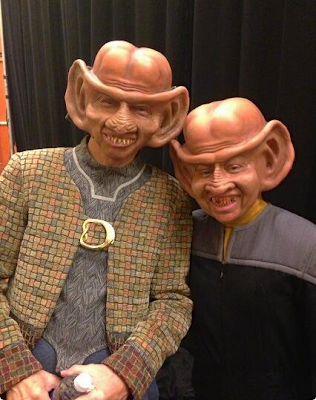 I was able to sell him a bunch of the tables from Quark's bar, and even the Dabo wheel. 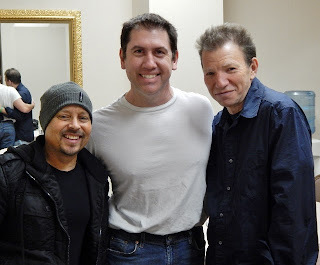 Francis was recently contacted by the representatives for Aron Eisenberg and Max Grodenchik as they decided to follow in the steps of JG Hertzler and Robert O'Reilly and bring their Star Trek: Deep Space Nine characters back to life on stage. 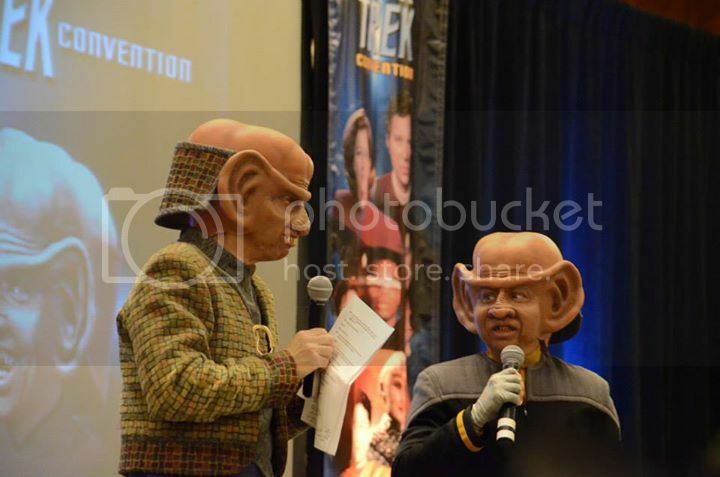 So Francis supplied his screen used costumes to Max Grodenchik and Aron Eisenberg for use as they reprised their roles as Rom and Nog from Deep Space Nine at the Seattle Creation Star Trek convention. I got the photos from Francis's blog which you should check out here. Special thanks to Garrett Wang and Ronald Woan for the photos.